This fundraising event features the National Christian Choir (NCC) who will present an extraordinary ministry of music to benefit Gaithersburg area residents in need. Gaithersburg HELP is delighted to partner with this amazing organization, whose main office is also in Gaithersburg, to serve our community. All funds raised will be donated to Gaithersburg HELP services and programs including Food Assistance, Infant Needs, Prescription Funding and Transportation. The National Christian Choir, an interdenominational group has been serving and performing in the community for almost three decades. 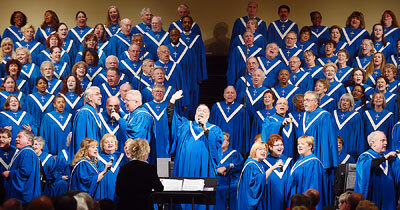 These talented, skilled singers and musicians offer something for everyone, from contemporary to traditional classics. Make a difference in someone’s life AND enjoy an inspirational evening. Can’t attend the event, but want to HELP? Online donations are always welcome.